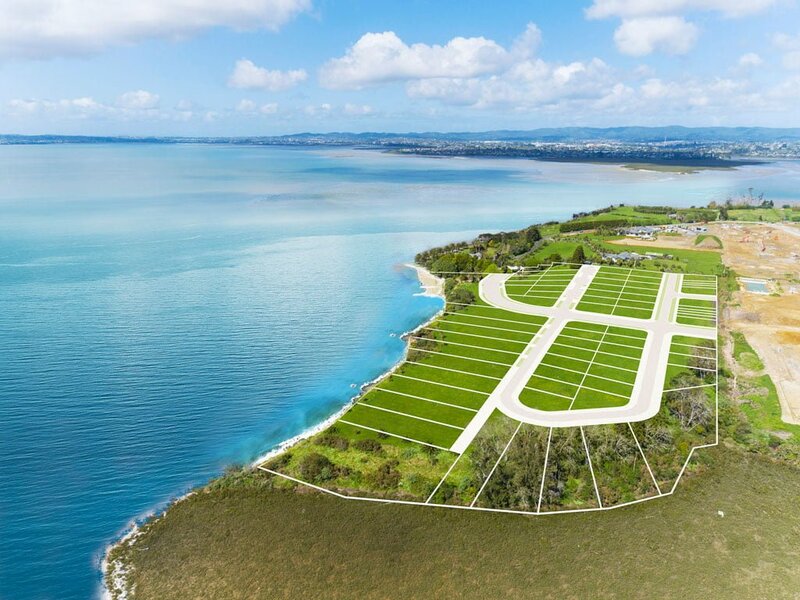 Our construction division is building a stormwater pond at another of Auckland’s high-end subdivisions, Scott Point Estate. 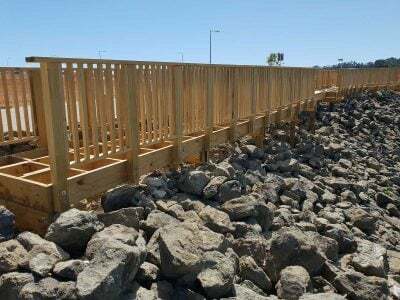 The Plant People has underway a stormwater pond construction project for the development. 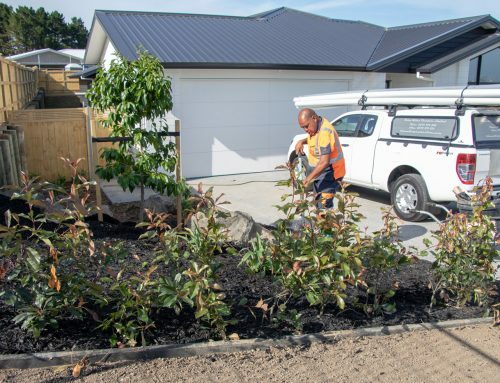 As with many stormwater ponds – also known as raingardens – in new Auckland subdivisions, the ponds are dual-purpose construction projects. As well as providing a catchment for stormwater runoff, the pond will be planted to create a natural wetland area. 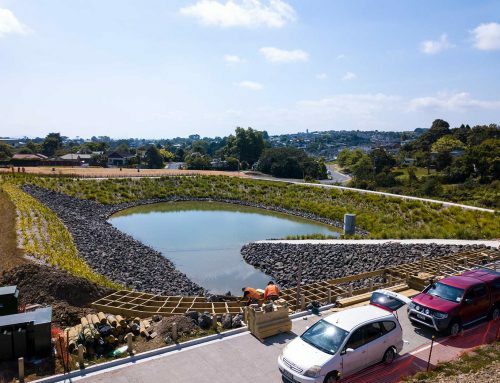 The stormwater pond provides water filtration for the rainwater runoff before it ends up back in the Waitemata, and a home for wildlife. Nestled in the Waitemata Harbour, just east of the Greenhithe bridge, Scott Point Estate residential development offers luxury waterfront living. And it’s proving to be a hit with stage one’s 273 residential lots having sold out, and 50 of 71 lots from the stage two already sold. Integrated with this raingarden, our construction crew are building pathways, including footbridges and a staircase. 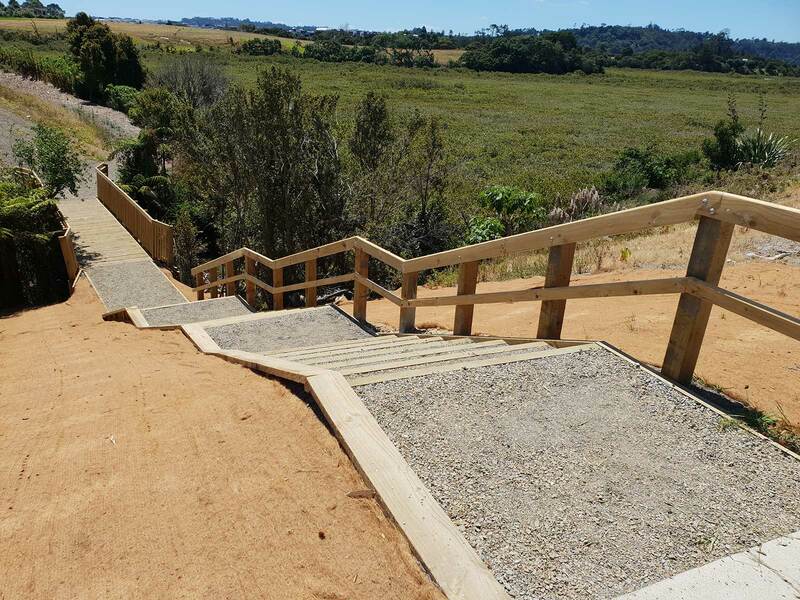 Foot traffic will be able to stroll through the park and enjoy the birdlife that will be attracted to the newly created wetland. Looking for an experienced raingarden construction team? 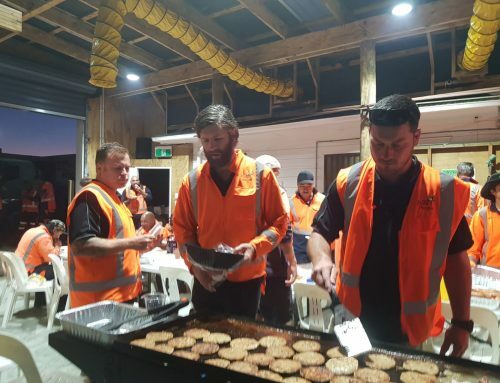 We’re the people you need!